The diagnostic accuracy of laboratory biomarker is running to approve the identification of easy, cheap and fast test associated with cerebral ischemia and intracranial haemorrhage. A stroke (cerebrovascular accident) occurs when a part of the brain was damaged or destroyed due to deprivation of blood and oxygen . Strokes can lead to longlasting disability or even death . The symptoms of a stroke may begin suddenly or develop over hours or days. One or more areas of the brain can be damaged, depending upon the area affected, a person may lose the ability to move one side of the body, the ability to speak, or a number of other functions . The damage from a stroke may be temporary or permanent . There are two types of cerebral stroke; ischemic and haemorrhage strokes. Ischemic stroke accounts for 87% of all strokes, among persons aged 45 to 64 y, 8-12% of ischemic strokes resulted in death within 30 d and 13% of all other stroke cases are haemorrhagic stroke [4-5]. Salivary cortisol measurement is widely accepted as alternative to plasma or serum: since the adrenal cortex is responsive to stress, venepuncture for blood collection can lead to an iatrogenic increase of plasma glucocorticoid levels. From this perspective, the stress-free salivary collection for cortisol measurement has an advantage compared to plasma, especially when a cortisol measurement has to be achieved in children . Salivary-free cortisol concentrations do not seem to be dependent on salivary flow rate . The first evidence-based report that links the naturally produced protective “stress” hormone, cortisol, with yawning, and demonstrates that cortisol rises when we yawn. Produced by the zona fasciculate of the adrenal cortex within the adrenal gland, it is suggested that the rise in cortisol level triggers neurological disorders . In addition, presence of cortisol in saliva is highly correlated with blood assay and it is also cheaper to analyse. The evaluation of neuron specific enolase level in serum and cerebrospinal fluid following cerebral ischemia provides a reliable bio-indicator of the degree of brain cell damage, and may allow for early prediction of outcome . In case of stroke, the first enolase peak within 7-18 h is found following admission may reflect the initial damage to neuronal tissue, while a second elevation between 1-3 days, may be related to edema and an increase in intracranial pressure . For that, enolase can be used as a reflection of neuronal damage. In the current work, we aimed to explore the correlation between blood pressure, salivary cortisol, lipid profile, lactate dehydrogenase, creatine kinase (CK-BB) levels in patients with acute stroke as well as in patients with stroke risk factors. This will aid physician to avoid the sudden incidence of stroke and undesirable subsequent side effects. This study was approved by the ethics committee of the King Abdul-Aziz University Hospital males section, Jeddah, Saudi Arabia for sample collection and written informed consent was obtained from all participants prior to the study. Eighty adult male volunteers were included in the present study, age ranging between (50-60) y; the samples were collected from Al-Hayah hospital, King Abdulaziz University’s Hospital and King Fahad Hospital, Jeddah, Saudi Arabia. In the current study, we depend on the standard clinical criteria of stroke (persistence of signs>24 h).The subjects were divided into four groups: Group I: Normal healthy subjects not suffering from any systemic diseases. Group II: Including patients recently diagnosed as ischemic stroke. Group III: Including hypertensive patients (BP ≥ 140/90). Group IV: Including patients with type II diabetes fasting (Blood glucose>250 mg/dl). Because the uncontrolled diabetic and hypertensive patient were at risk for stroke due to their complications, they are included in this study. According to Trial of Org in Acute Stroke Treatment (TOAST), the patients within 24 h after stroke had undetermined etiology. Inclusion criteria: Chronic fatigue, diabetes, heart condition, hypertensive and stroke. Exclusion criteria: Hormone replacement therapy, multiples sclerosis, oral inflammation, advanced periodontitis and severe gingivitis. Blood and saliva samples were collected from all subjects following an overnight 14 h fasting. Saliva samples were collected under quiet circumstances. First, the mouth was flushed with water and then whole saliva was collected for 5 min by the subject leaning forward and spiting saliva into test tubes that were kept in ice bag. Immediately following collection, samples were centrifuged at 5000 rpm at -4°C for 10 min. The supernatant was stored at -80°C until analysis. For separation of serum, 5 ml of blood was collected from each individual in plain tubes and centrifuged at 8000 rpm at 4°C for 10 min. The supernatant was stored in tubes at -80°C until analysis. The levels of serum glucose, total cholesterol (TC), triglyceride (TG), low-density lipoprotein cholesterol (LDL-c), highdensity lipoprotein cholesterol (HDL-c), neuron specific enolase activity, cortisol, Lactate dehydrogenase (LDH) and creatine kinase (CK-BB) were measured in saliva and serum samples using available kits from BIOLINE (England). Statistical analysis was performed using the SPSS package (version 22, Chicago, IL, USA). Results were expressed as mean ± SD. Sensitivity and specificity was calculated. A p value ≤ 0.05 was considered significant. Using analysis of variance (ANOVA), there was high significance between the groups when comparing sample. ROC curve analysis was used to calculate the accuracy of each marker. Between and within subjects comparisons were made using t-tests and correlations. In this study, we evaluated some biochemical markers in stroke patients and related diseases such as diabetic and hypertensive compared with the control group to select a sensitive and specific test for the diagnosis and early prediction of stroke. It was found there were a significant elevation in the level of serum and salivary total cholesterol in stroke, hypertension and diabetic groups compared with the control group (p<0.001). The elevation in hypertension and diabetic groups were higher compared with the stroke group. There was a slight elevation in the level of triglyceride in the diabetic group, stroke and hypertension groups compared with the normal group (p<0.01). Triglyceride levels in saliva found higher in hypertension group and stroke groups compared with the normal group (p<0.05). Serum and salivary (HDL-c) levels were significantly lower in stroke, hypertension and diabetic groups compared with the normal group (p<0.001). However there was a slight increase in the level of HDL-c in the diabetic and hypertension group vs. the stroke group. Serum LDL-c level was significantly increased in stroke, hypertension and diabetic compared with control (p<0.001). While there was no significant difference in the level of LDL-c between the stroke, hypertension and the diabetic groups. Salivary LDL-c level was significantly high in diabetic, hypertension and stroke group compared with the control group (p<0.001). Salivary and serum lactate dehydrogenase were significantly increased (p<0.001) in both hypertension and diabetic groups compared with control and stroke groups (Table 1). Serum and salivary creatine kinase (CK-BB) showed higher values in both hypertension and diabetic groups compared to control and stroke groups (p<0.001). Serum cortisol level was significantly highest in the hypertension, stroke (p<0.001) and slightly increased in the diabetic group compared with the control group (p<0.05), however the hypertension elevation next to the stroke group and diabetic is lower than the stroke group (p<0.001). Results are expressed as mean ± standard deviation (SD), and were compared by t-test (P<0.05). ap-value: Group II, III, IV vs. Group I. bp-value: Group III, IV vs. Group II. Table 1: Serum and salivary lactate dehydrogenase, creatine kinase (CK-BB), enolase activities and cortisol level in all groups. Receiver Operating Curve (ROC) analysis for salivary cortisol of different studied groups shown in Figures 1-3 and Tables 2-4 were performed to define the diagnostic profile of urine level markers among subjects with diabetes. The salivary level of cortisol supported the diagnostic profile, showing an AUC of 0.92 with a cut-off value of 10% (sensitivity, 95.5%; specificity, 97%) (Table 2). Salivary was increased about 10 folds in stroke and hypertensive and compared with control group and diabetic. However, it was elevated about 3 folds in diabetic compared with control. The cut-off value in 90% stroke patients, 70% of hypertensive patients. Positive correlations were observed between salivary and serum cortisol (r=0.56), and CK-BB (r=0.63) while were not correlated with other laboratory markers such as plasma LDH and lipid profile. Table 2: Test result variable(s): cortisol. The test result variable(s): Cortisol has at least one tie between the positive actual state group and the negative actual state group. Statistics may be biased. Table 3: Test result variable(s): cortisol (hypertension vs. control). Table 4: Test result variable(s): cortisol (diabetes vs. control). Figure 1: The ROC curve of stroke vs. control. Figure 2: The ROC curve of hypertension vs. control. Figure 3: The ROC curve of diabetes vs. control. The possibility to make decision in a clinical diagnosis of stroke as well as the time frame for initiating effective intervention, there is a clear laboratory tests for adjunctive diagnostic information in the acute setting. The use of a biomarker was extremely useful in clinical emergencies such as stroke to aid in triage and early management cases. The diagnostic accuracy of laboratory biomarker is running to approve the identification of easy, cheap and fast test associated with cerebral ischemia and intracranial haemorrhage. In the present study, we evaluated some biochemical markers in salivary and serum for early detection of stroke in patients with high risk as hypertensive and diabetic as a non-invasive diagnostic tool for early prediction of stroke. This study explained that saliva cholesterol level reflects serum concentrations to some extent and can be used to select individuals with high serum cholesterol levels. It was reported that the usefulness of saliva as a biomarker of evaluation detection showed that saliva can be used to test cholesterol and phospholipids instead of blood . The present study also suggests that saliva may be used for monitoring plasma lipid profile and showed a positive correlation. Result in Table 5 revealed that there was a significant increase in the level of serum total cholesterol in stroke, hypertension and diabetic groups compared with the control group. There was a nonsignificant change in the level of triglyceride in the diabetic, stroke and hypertension groups vs. the normal group. However, a significant increase of serum LDL-c in the stroke, hypertension and diabetic compared with the normal group. The study based on relationship of salivary cholesterol of healthy adults in relation to serum cholesterol concentration and oral health [12-16]. Weak positive correlations between saliva and serum cholesterol HDL-c was found. Salivary and serum HDL-c concentration recorded in this study may reflect the protective function of HDL-c, since it was markedly reduced in patients with stroke as well as patients with strokerelated diseases. Two different studies compared plasma and salivary lipid profile in individuals with ischemic heart stroke and the diabetes mellitus and suggested that lipid fractions particularly triglyceride can be assessed in saliva and may be used alone or in combination with other lipid parameters for monitoring disease activity and severity in such studies [17-20]. There are several possible mechanisms by which serum lipids can reach saliva. Within the salivary glands, transfer mechanisms include intracellular and extracellular routes [21,22]. Results in Table 3 indicated that a nonsignificant changes in the levels total LDH and CK-BB in serum and salivary among studied groups vs. control. This is may be peak within one week and returned to normal after the onset of stroke. It was concluded that, the elevation of cortisol may be implicated as predispose for incidence of hypertension and diabetics and increase the risk of stroke [23-25]. A positive correlations were observed between salivary and serum cortisol (r=0.56), and CK-BB (r=0.63) while were not correlated with other laboratory markers such as plasma LDH and lipid profile. Results are expressed as Mean ± SD, and compared by t-test (P<0.05). ap value: Group II, III, IV vs. Group I. bp value: Group III, IV vs. Group II. Table 5: Serum and salivary triglyceride, total cholesterol, HDL-c, and LDL-c levels in all studied groups. Salivary cortisol can be considered as more sensitive biomarker and used as a diagnostic or prognostic marker for cerebral stroke-related diseases. AAF: Design the protocol, coordination, Performs practical, data collection, SSM: Data analysis and drafting of the manuscript. All authors have read and approved the final manuscript. This project was funded by the Deanship of Scientific Research (DSR), King Abdulaziz University, Jeddah, under grant no. (D1435-787-130). The author, therefore, acknowledge with thanks DSR for technical and financial support. Kloos RT, Gross MD, Francis IR, Korobkin M, Shapiro B. Incidentally discovered adrenal masses. Endocr Rev 1995; 16: 460–484. Bovio S, Cataldi A, Reimondo G, Sperone P, Novello S, Berrutti A, Borasio P, Fava C, Dogliotti L, Scagliotti GV, Angeli A, Terzolo M. Prevalence of adrenal incidentaloma in a contemporary computerized tomography series. J Endocrinol Inves 2006; 29: 298-302. Terzolo M , Osella G, Ali A, Borretta G, Cesario F, Paccotti P, Angeli A. Subclinical cushing’s syndrome in adrenal incidentaloma. Clin Endocr 1998; 48: 89-97. Barzon L, Sonino N, Fallo F, Palu G, Boscaro M. Prevalence and natural history of adrenal incidentalomas. Eur J Endocrinol 2003; 149: 273-285. Ambrosi B, Peverelli S, Passini E, Re T, Ferrario R, Colombo P, Sartorio S, Faglia G. Abnormalities of endocrine function in patients with clinically ‘silent’ adrenal masses. Eur J Endocrinol 1995; 132: 422-428. Reincke M, Nieke J, Krestin GP, Saeger W, Allolio B, Winkelman W. Preclinical cushing’s syndrome in adrenal ‘incidentalomas’: comparison with adrenal cushing’s syndrome. J Clin Endocrinol Metab 1992; 75: 826-832. Caplan RH, Strutt PJ, Wickus GG. Subclinical hormone secretion by incidentally discovered adrenal masses. Arch Surg 1994; 129: 291-296. Bonner JA, Sloan JA, Rowland KM, Klee GG, Kugler JW, Mailliard JA. Significance of neuron specific enolase levels before and during therapy of small cell lung cancer. Clin Cancer Res 2000; 6: 597-601. DeGiorgio CM, Gott PS, Rabinowicz AL, Heck CN, Smith TD, Correale JD. Neuron-specific enolase, a marker of acute neuronal injury, is increased in complex partial status epilepticus. Epilepsia 1996; 37: 606-609. Ross NS. Epidemiology of cushing’s syndrome and subclinical disease. Endocrinol Metab Clin North Am 2000; 23: 539-546. Chiodini I, Mascia, Muscarella S, Battista C, Minisola S, Arosio M, Santini SA, Guglielmi, Carnevale V, Scillitani A. Subclinical hypercortisolism among outpatients referred for osteoporosis. Ann Intern Med 2007; 147: 541-548. Morales-ER, Fernandez-PA, Gonzalez-VG, Flores-HS, Delgado-SG, Mendez-SJL. Helicobacter pylori in the oral cavity is associated with gastroesophageal disease. Oral Microbiol Immunol 2009; 24: 464-468. Correia-SJde, Victoria JM, Guimaraes AL, Salomao UE, de Abreu MH, Bittencourt H. Cytomegalovirus shedding in the oral cavity of allogeneic haematopoietic stem cell transplant patients. Oral Dis 2007; 13: 163-169. Baldini C, Giusti L, Bazzichi L, Lucacchini A, Bombardieri S. Proteomic analysis of the saliva: a clue for understanding primary from secondary Sjogren’s syndrome? Autoimmun Rev 2008; 7: 185-191. Hu S, Vissink A, Arellano M, Roozendaal C, Zhou H, Kallenberg CG, Wong DT. Identification of auto antibody biomarkers for primary Sjögren’s syndrome using protein microarrays. Proteomics 2011; 11: 1499-1507. Pastore L, Campisi G, Compilato D, Lo Muzio L. Orally based diagnosis of celiac disease: current perspectives. J Dent Res 2008; 87: 1100-1107. Boscaro M, Arnaldi G. Approach to the patient with possible Cushing’s syndrome. J Clin Endocrinol Metab 2009; 94: 3121-3131. Raff H. Utility of salivary cortisol measurements in cushing’s syndrome and adrenal insufficiency. J Clin Endocrinol Metab 2009; 94: 3647-3655. Agha-HF, Mirzaii-DI, Rahimi A. 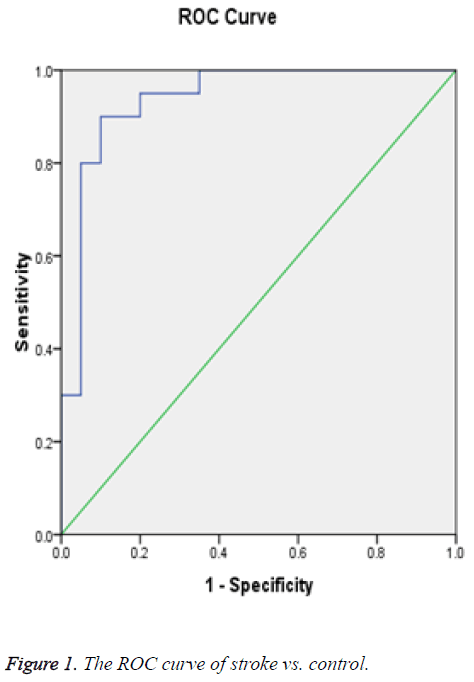 Correlation of serum and salivary CA15-3 levels in patients with breast cancer. Med Oral Patol Oral Cir Bucal 2009; 14: e521-4. Xiao H, Zhang L, Zhou H, Lee JM, Garon EB, Wong DT. Proteomic analysis of human saliva from lung cancer patients using two dimensional difference gel electrophoresis and mass spectrometry. Mol Cell Proteomics 2012; 11: M111. Fassbender K, Schmidt R, Schreiner A, Fatar M, Muhlhauser F, Daffertshofer M. Leakage of brain-originated proteins in peripheral blood: temporal profile and diagnostic value in early ischemic stroke. J Neurol Sci 1997; 148: 101-105. Buttner T, Weyers S, Postert T, Sprengelmeyer R, Kuhn W. Serum marker of focal brain damage after ischemic territorial MCA infarction. Stroke 1997; 28: 1961-1965. Abraha HD, Butterworth RJ, Bath PMW, Wassif WS, Garthwaite J, Sherwood RA. Serum S-100 protein, relationship to clinical outcome in acute stroke. Ann Clin Biochem 1997; 34: 546-550. Aurell A, Rosengren LE, Karlsson B, Olsson JE, Zbornikova V, Haglid KG. Determination of S-100 and glial fibrillary acidic protein concentrations in cerebrospinal fluid after brain infarction. Stroke 1991; 22: 1254-1258.